Free supplemental website available to all users! 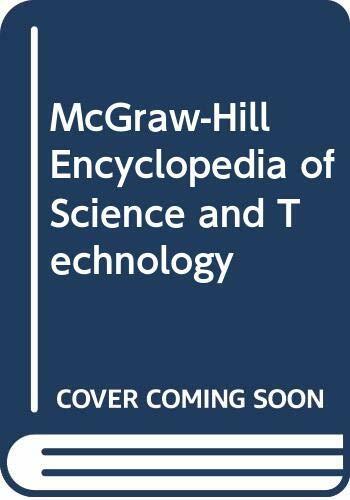 Featuring entries written by international leaders in science and technology selected by McGraw-Hill's distinguished board of consulting editors, no other reference so thoroughly and dynamically chronicles the expanding frontier, facts, and trends so vital to students, professionals, and general readers. 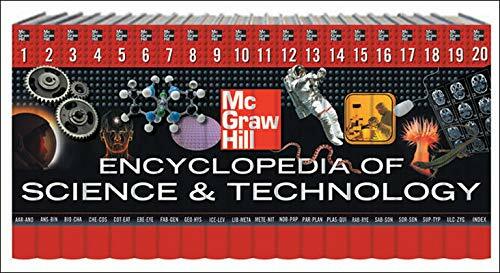 For more than four decades, McGraw-Hill's Encyclopedia of Science & Technology has provided readers with the information they need in an understandable, authoritative way that invites critical inquiry and captures the imagination. There is truly nothing else like it and no library can be called complete without it. 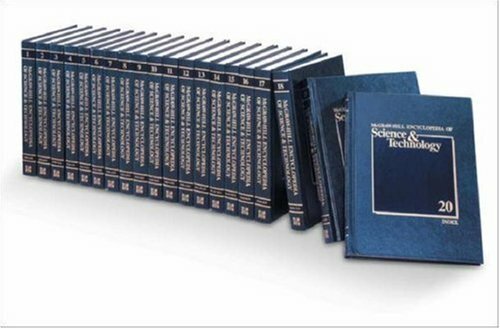 Readers will find 7,000+ articles covering nearly 100 fields of science in this amazing 20 volume set. The new Tenth Edition features more than 1,700 new and updated articles, 12,000+ illustrations, and more than 5000 contributors - including 25 Nobel Prize winners. Also new to the Tenth Edition is a companion website that will provide selected updates to the Encyclopedia along with additional material such as special graphics and illustrations. 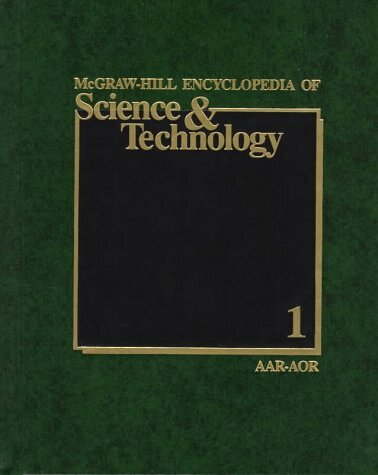 The McGraw-Hill Encyclopedia of Science & Technology has fulfilled the reference and educational needs of students, professionals, and librarians for over forty years throughout the world by offering reliable, comprehensive, and up-to-date information in all areas of science and engineering. The revision of the Encyclopedia has taken place over a five year period. Many articles have been revised for the ninth edition and numerous new ones added based on the assessments of our distinguished Board of Consulting Editors. Even though the goal has been a comprehensive revision, much effort was concentrated in certain areas, particularly in the biomedical sciences, information technology and computing, chemistry and chemical engineering, industrial engineering, the environmental, earth, and climate sciences, physics, and astronomy. The result of these revision efforts are the 7,100 articles in this ninth edition, each written by one or more experts nominated by the consulting editors. A total of approximately 5,000 experts from universities, industry, and government agencies have contributed to this work; 29 Nobel Prize winners are among these international authors. Since the Encyclopedia is used primarily by non-specialists, care has been given to structure the articles such that the reader has ready access to the key concepts of the field. Articles start with a definition and a concise overview of the topic. Among the hallmarks of the Encyclopedia are the numerous cross references to related articles - more than 60,000 in this edition - that not only allow the reader to acquire background information, or to study in greater depth, but also help illuminate the context of the material and broader connections among topics. With the reader in mind, special care also has been given during the editing of the Encyclopedia to the clarity of the writing and consistency of style throughout. More than 12,000 illustrations enhance the text and allow the reader to visualize concepts. These include photographic images, two-color graphs, charts, and maps redrawn for uniformity of style, and 93 full-color plates. Hundreds of tables provide useful data, and, where appropriate, chemical formulas and reactions are included as well as mathematical equations. Additional articles and tables in volume 20 explain scientific notation and the dual systems for units of measurement - the U.S. Customary System and the International System (SI) - used throughout the text. The reader will also find an extensive table of conversion factors for the measurement systems, symbols used in scientific writing, and additional ancillary material. 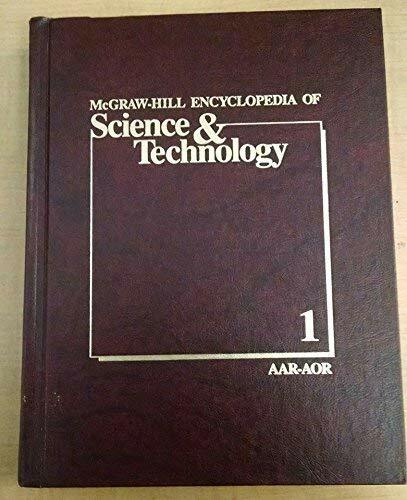 More than 5,000 leading international scientists and engineers, including numerous Nobel Prize laureates, have contributed to this edition of the McGraw-Hill Encyclopedia of Science & Technology. All articles are invited upon recommendation by our distinguished board of consulting editors.